The Theory Formerly Known as "Massacre"
Just when you thought it was dead and gone for good (or bad), a certain "Theory" has arisen again and endeavors to gnaw on the brains and brain power of all involved with Bigfooting. Despite factual debunking from numerous credible sources, as well as this blog, it persists in various places. The voice of this theory issues forth like a persistent subliminal message saying "Be Dumb, Be Dumb, Be Dumb" from a certain ArtistFirst Bigfoot Central "radio" station. A certain Southern-Fried Bigfooting Forum, the name of which is coded below, is like a kennel of attack dogs for this theory. 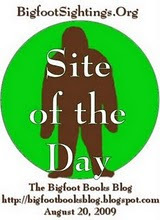 Following on the conversion of one noted "Bigfoot-Is-Human" believer, an ex-cop from the southern Bay Area, another prominent long-time BFer has lent her prodigious imaginative mind to the slow contamination of the once reliable Bigfoot Encounters web site. 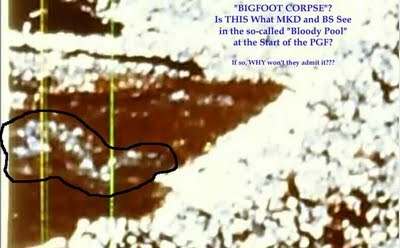 Where once facts and documentation once meant something, even in this somewhat wacky world of Bigfoot, now people can just make stuff up from the raw boogers of the imagination, molding them into the shapes they prefer. We are on the record debunking this "Theory" (peruse our side links for past posts and interviews), but here we'd like to forewarn you that it is BAAAACK. And it is coming to a run-down, dumpy B-grade DVD theater near you. 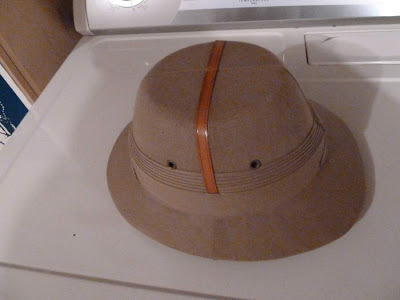 Yes, that's right, it's... MKD's Flying Circus: "Incident at Bluff Creek." View the trailer for the film below. You will be astonished, believe us. Beckjord the Grey, disciple MKD, and a Bigfoot turning to leave. 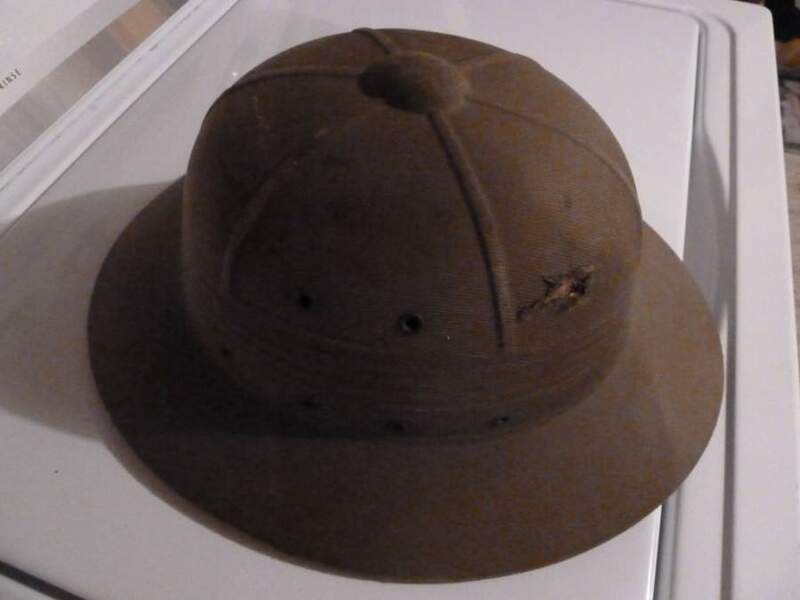 Years ago in time out of mind a little man from the Southern Shires came forth from his hole-in-the-ground home bearing a bound manuscript volume of great Ideas of his own Invention, entitled, Bluff Creek Incident: There and Back Again. It was a great achievement in the mind of this diminutive, furry-footed, erstwhile picture analyst by trade. It made him a Name and great Fame among the townsfolk of Gcbro, and other hamlets throughout the Southern Lands. In it he vanquished the dark lords and their orc minions from the frigid, frozen North Lands, sending these "Canadians" back down into their subterranean cave lairs. This, then, is the brief telling of this tale of the great Hero, one Mrodo Kibbets Daggins, or as we shall call him hereby his popular name of repute, the Honorable Noble Knight of the Shire, MKD. Gather round, hear the telling of the tale! Hear how around him gathered from far flung hobbitine holes the Grave Lord MonsterHunter, the stern White Queen BS, and the loyal Dark Duke Dave of Gilroy Province. Hear how he, the adamant MKD, was first set on the Path of Adventure by the wily wizard, Beckjord the Grey. Hear with thine own ear how he slew on the grand voyage that followed the grim and pitiless serpent, Giant Salamader. Hear how he righteously stole the honored Great Ring, signet of Footer of the Year, from Sir Danny of the Southwest, and how he gave it to his trusty footman, DonDon, for safekeeping lest he garner of it power too great (still, he secretively donned the ring surreptitiously, while up in his tower chamber at Castle ArtistFirst). Hear how he traveled far-flung trails to the holy site of Discovery in Bluff Creek, California Territory, a continent away from his humble home, and dangerously adjacent to the Dark Lord Green's Northern lair. Hear how MKD saw clearly that all other chroniclers were wrong, and only he the rightful and truthful heir to the truth, and the True Site. Know that Truth descended in mighty Glory, being brought to him in grand visions of the mind (kindled by the sage herbal intoxicants given him in his tea by the sorcerer Beckjord). These hidden and cryptic truths were dispensed by him in fardels borne by myriad henchmen, lest He, MKD, be known as the Source of what to the Dark Lord Green of the North could only be taken as the Causative Slander of Great Battle. Know and see how wily MKD, like Odysseus of old, enfeebled the mind of the great warrior Cyclops of "Ape" (also known as Gigantopithius) and confounded his troops with the many-layered Onion of Conspiracy. Yea, internally he received, and outwardly he saw, vast projections upon the landscape of the venerable Celluloid Called P-G. Famed MKD is, and rightfully, for showing in this Film the Beast of God, a human form with braided hair and stick in hand, big-footed, as she walked into glorious martyrdom and Sacrifice for all Folk of the Good South at the hands of Northern reivers, and their shadowy Wraiths of Washingtonia. She and her Relations were felled by the musket ball of the Evil Titmouse and the dread Dwarf warrior, Gimli. The grave consiglieri, Dahinde Rene documented and depicted it for All across the flat Earth to see. And they spent the wretched remainder of their days covering up their shame with fig leaf books and pamphlets on "Big Foot." Only the Noble MKD saw through the Great Lie, and only he, with the aid of his scribe, Johnny-John Grendel could decipher the mystery from the obfuscatory haze; and only they master the great technique of the Sacred rainbow DVD. Great armies converged from all provinces upon that tiny sandbar of Bluff Creek! For yea, it was as prophesied of old, the site of End Times and Great Portent. Alerted by gaunt and raving logging company scouts in the Southlands, Lord Green with great stealth assembled his cadre of assassins to descend upon this last, Lost World tribe of Big Foot. Human they were, though hirsute, odoriferous, and of great bulk; and expert they were at avoiding all technique of fire, writing, possessions and homes. Full of Goodness they were, the bane of Lord Green. Terrible and grievous this Canadian was, and forth from his Castle Harrison Hot, poured forth his vile and sub-human, ape-like servants. Upon Bluff Creek they assembled, and there they made a large Hole upon the sandbar to receive the blood of the Sacrifice. The snare set, into the woods they dissolved, awaiting their prey. We need not say more to the believing Public, need we? Into the Bloody Hole their bodies fell, the hairy ones, and they were skinned, beheaded, and buried with the sinful, black fume belching Backhoe of Whitson. Red flowed the creek's waters, and red the sand with the prints of the Hounds of Moffit. Buried were the bones, lost the true tale of the extirpation, and watched over it was by the dragon Salamander. Flood and Clear-cut took their tolls, time washed away the traces of the Crime, and lo, even the roads began to be taken back into Nature until even the site was lost. One dark apostle, Patterson the Short, was sent forth to beguile and dissimulate among the People, false prophet of Lord Green that he was, accompanied by Gimli. His film, infernally wrought upon a mystifying strip, clipped and trimmed of all but one bloody image at its start, was soon shown upon every wall and magic glass within the known boundaries of the world circle. So great was the enchantment that no one save MKD (protected from the sleep of reason again by Beckjordian Art) knew of the baleful, sinister, exsanguinated but also redemptive Truth. Across plain and vast pinnacles, crossing, past demon and hideous guardian beasts alike, MKD traveled. To Bluff Creek he came, and to the Site he walked through wood and water, until there he found the holy relics, a metallic wire, a piece of bone. Femur of Sasquatch held aloft to the wrathful Northern skies, MKD howled and raged, imperious he stood in the canyons shadows. I shall go forth now to the world and proclaim this Terrible Mystery, he proclaimed. And a Voice came from on high, saying, "This is my prophet, and he shall be the only One in the Land who shall see, who shall know, and let all others be blinded by Science, History, and Reason." OK, maybe not. Let us stop this already. MKD has threatened us with retribution, anyway, from his faraway castle in the South. Lest we further incur his wrath, pleased be ye to view the following occult and mystic document, smuggled out of the Southern district of YouTubia by an intrepid messenger. Did that work? 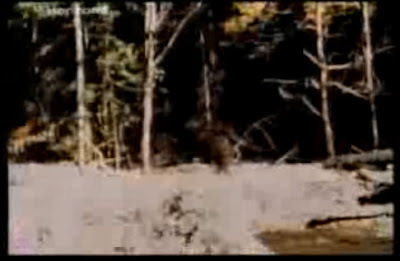 If not, click this link to the INCIDENT AT BLUFF CREEK trailer YOUTUBE, or try it here on BF ENCOUNTERS. Look! There are UFOs, "Rods," Bigfoot Bones, and Space Worms in the PGF, too! THE THEORY THAT DARE NOT SPEAK ITS NAME!!! 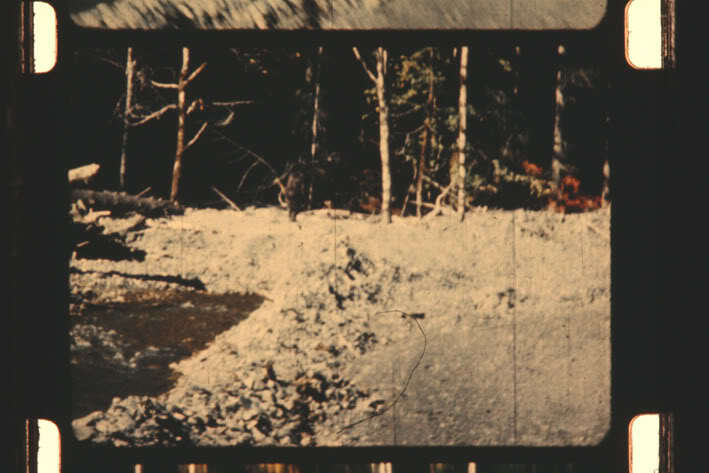 Recently, on BIGFOOT ENCOUNTERS, Bobbie Short posted a very lengthy article analyzing film splices said to have been done to John Green's copy of the PATTERSON-GIMLIN FILM. It was a cryptically worded essay, hiding very strange implications and assumptions behind a distracting wall of technical jargon. What was she saying? Basically, first, that the "real" PGF was only thirty seconds long, and not the near minute it covers today. Huh? 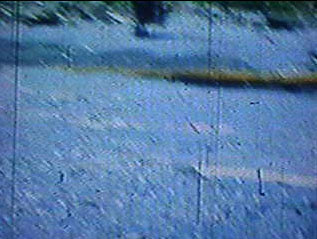 The other thing, which the whole essay built up to in an agonizingly long crescendo, was that there was SOMETHING in the "hole" seen at the beginning of the film, in its earliest frames. 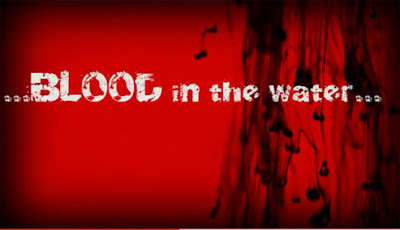 This echoed something another researcher (on Artist First) had said over and over again: there was some "thing" in that "bloody hole" at the start of the film. What WAS it, we asked. 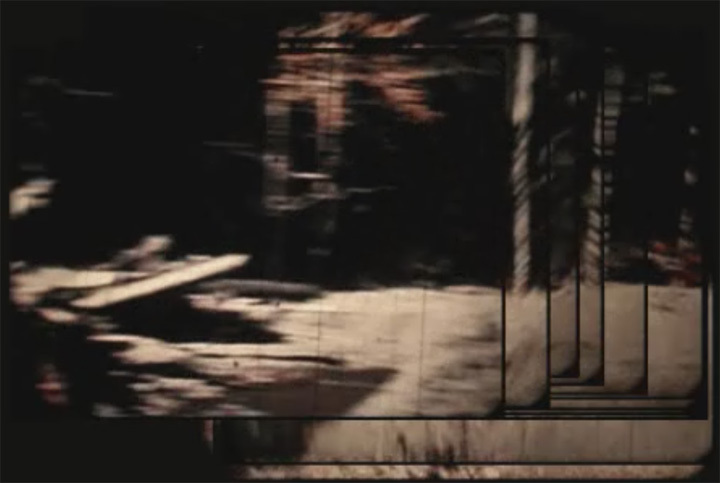 We looked at the last image for a long while, our eyes grew crossed and tired, and then, like one of those strange 3-D hidden-image books and posters, the image emerged. 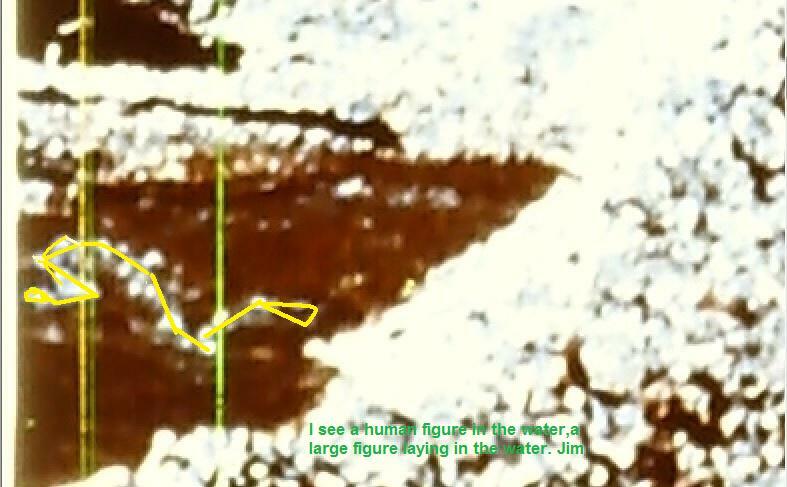 Here is what we saw, and now we know what these "researchers" have been talking about for all this time. Ha! Have a look below. 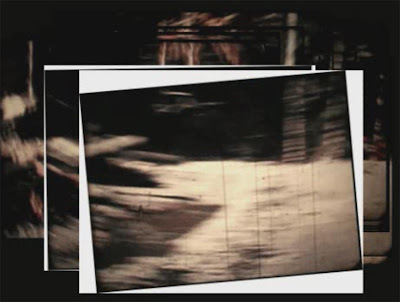 The last few images were sent to this blog by an anonymous source; the first image is from the BF Encounters page (now removed from the site, in cowardice, we suppose), with text we added. 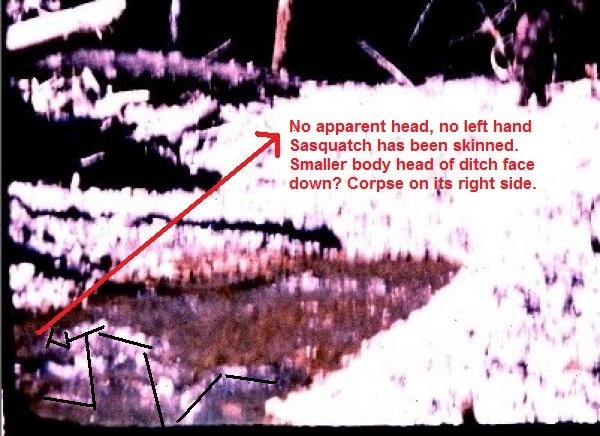 See the bottom of this blog post for more supplementary "Bigfoot Corpse" and early PGF images that will help place the above absurdity into context. 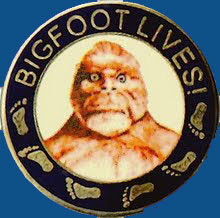 Paragon and Icon of the Well-Dressed Bigfooter. Peter Byrne. PETER BYRNE, who will be appearing as a special guest at this June's upcoming 2011 OREGON SASQUATCH SYMPOSIUM, has always been a paragon of Bigfooting fashion. He is the link between the old British Colonial "Great White Hunter," and today's decidedly less civilized, but much more practical, Bigfooting attire and image. 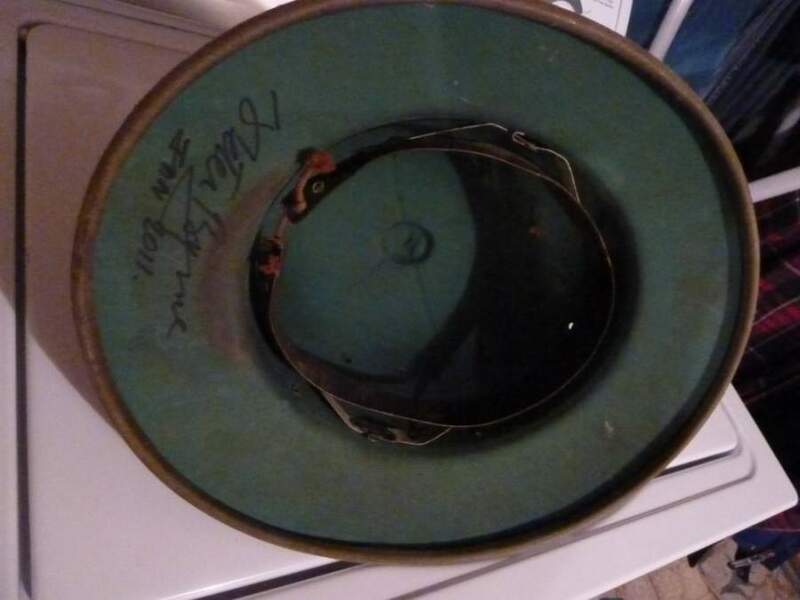 Recently, thanks to long-time Squatch Historian, Larry Lund, we received these very interesting and significant pieces of Bigfoot history... Mr. Byrne's garb and Jeep logos. employees, and a lost filing cabinet full of extensive sighting reports. 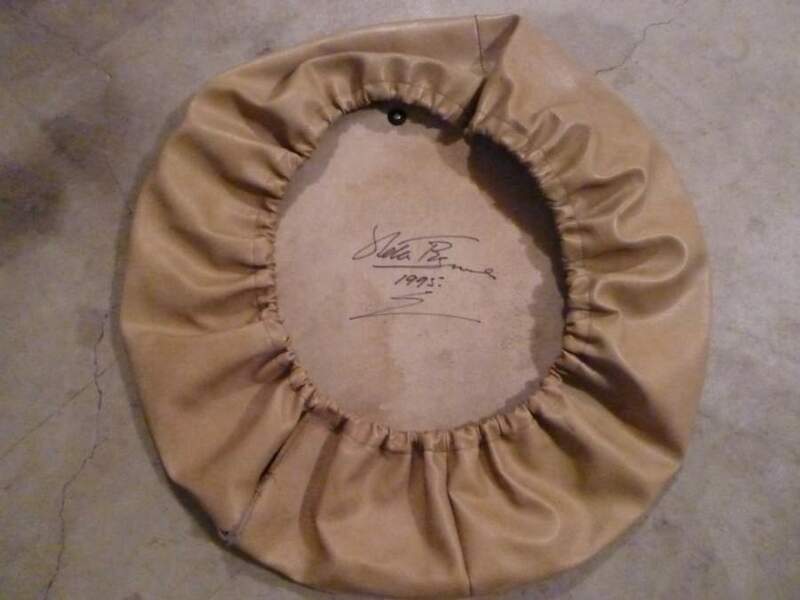 Signed by Byrne, the Jeep spare wheel cover, front and back. expedition. 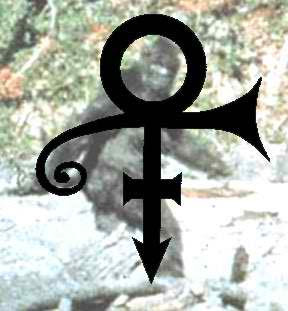 One never knows when a Yeti may hurl a rock at one's noggin. Another, newer pith helmet, signed by Peter Byrne. 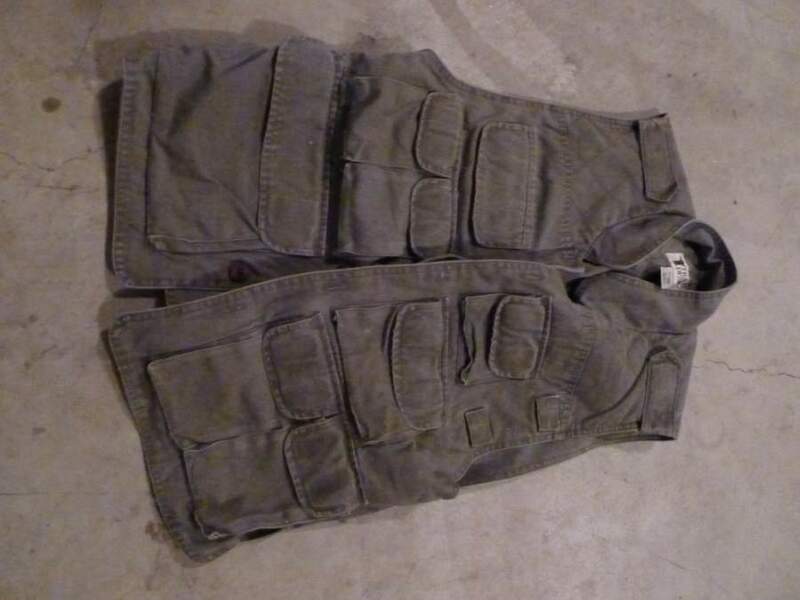 A true icon of Bigfooting: the Peter Byrne safari/hunting vest. those myriad pockets, never to be retrieved? 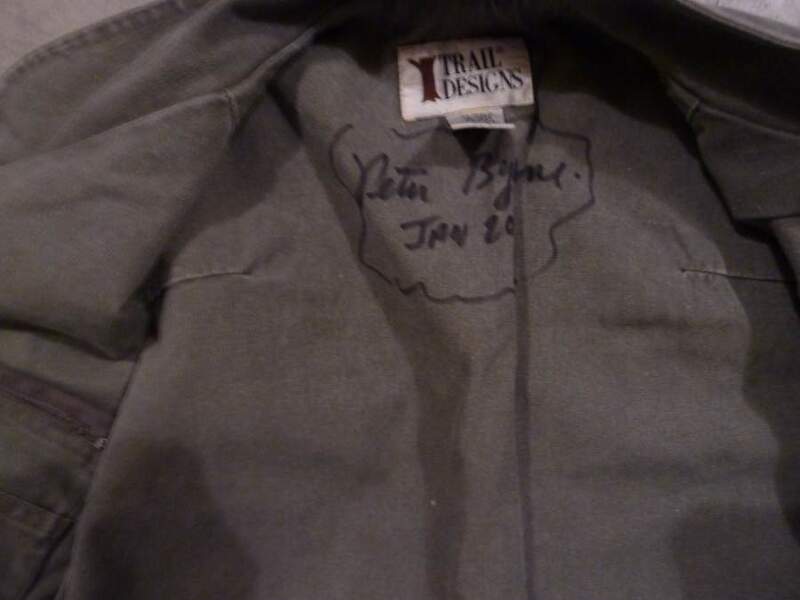 Interior of the vest, signed by Peter Byrne. PHOTOS ABOVE BY AND COURTESY OF LARRY LUND. 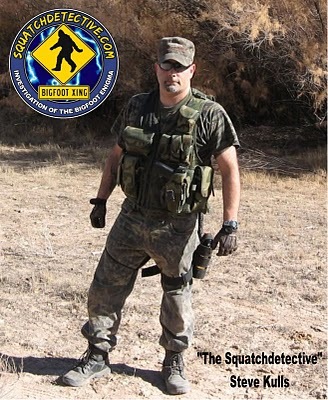 para-military Squatcher image as modeled by Steve Kulls. 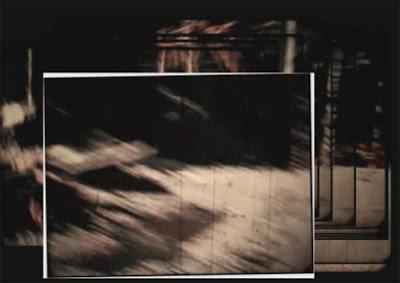 We have seen James "Bobo" Fay wearing camouflage flip flops at Louse Camp in Bluff Creek. Now THAT might be going just a little bit too far! Peter Byrne's life story is the fabric from which legends are woven… and reads like one of the epics handed down to us by men like Hillary of Everest, Livingstone of Africa and Shackleton of the Antarctic. Exploratory white-water river runs in the Himalaya, China and East Africa, high mountain expeditions in search of the Abominable Snowmen, an investigation of the Loch Ness monster, a best-selling book about the Bigfoot mystery of the Pacific Northwest, five years as a tea planter in north Bengal, two decades as a professional hunter running his own big game safari company, designer and creator of the beautiful White Grass Plains Wildlife Reserve in Nepal, discoverer of the largest elephant in Asia … these are but a few of the facets of an extraordinary life of challenge, adventure and achievement. Born in Dublin, Ireland, he was raised in the country educated there (St. Mary's College, Dundalk) until he was eighteen. He then joined Britain's Royal Air Force and served for four years with its Air Sea Rescue service, 1943 to 1947, with World War 11 combat zone service in South East Asia, mainly in the Cocos Keeling Islands of the Indian Ocean, where he was part of the top secret Operation Pharos, planned for the invasion of Japan. He was awarded three campaign medals. Upon leaving the RAF, he joined a British tea company, the Dooars Tea Company Ltd, with offices in London and estates in north Bengal, India, where, through the last days of the British Raj, he spent five years in the tea growing business in managerial positions. In 1953, he resigned from his tea company and walked from Darjeeling, India, to Katmandu, Nepal, a distance of 350 miles. There he obtained a big game hunting concession of 200,000 acres from the government, in the White Grass Plains, (the WGP) a remote and untouched area in the far southwest forests of Nepal. He formed his own company, NEPAL SAFARIS, and personally operated it as a full-time, professional hunter, running big game, trophy-hunting safaris for rich and famous clients … for tiger, leopard, buffalo, bison, wild boar, deer and crocodile, through to 1970. In 1968, concerned with the decline of wildlife in the Indo Nepal region, he gave up hunting, returned the lease of his safari concession to the government of Nepal and recommended that it be converted into a protected wildlife park. In that year he also established, in Washington DC, the International Wildlife Conservation Society Inc., (IWCS) a non-profit organization and using this to generate funding, designed and created a new park from his old hunting concession. The result, today, is the beautiful White Grass Plains Wildlife Reserve (Sukila Phanta), a 200,000 acre sanctuary that is one of the finest of its kind in southeast Asia. 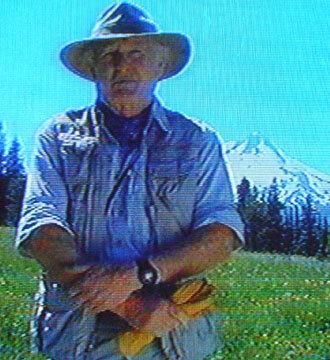 When the park was completed, before returning to it to operate eco tours and photo safaris, he formed one of the first high-mountain, white-water river running companies and opened up, with exploratory descents, four of Nepal's unknown Himalayan rivers to this dangerous and challenging sport. He also organized and led the first descents of the Galana Sabaki River in the Tsavo Park of southern Kenya, and the Li River in China. 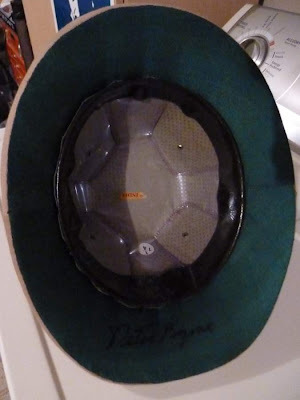 Peter Byrne is a contributing writer to SPORTS AFIELD magazine. His published books include TULA HATTI, THE LAST GREAT ELEPHANT (Faber & Faber, 1980) the story of his discovery of the largest elephant in Asia, with an introduction by Jimmy Stewart. THE SEARCH FOR BIGFOOT, (Simon & Schuster, 1990) an account of the Bigfoot mystery of the Pacific Northwest and his own experiences investigating it. GONE ARE THE DAYS, (Safari Press, 2002) an account of his years as a hunter in north India and Nepal and his transition from hunter to wildlife conservationist, with an introduction by Charlton Heston. SHIKARI SAHIB, (Pilgrims Press, 2002) a collection of stories about man-eating tigers including some of his own experiences with man-eaters. GENTLEMAN HUNTER, a detailed account (the result of many years of field work) of the history of man-eating tigers and leopards in north India and southern Nepal, published by Safari Press, Huntington Beach, Ca. And two novels, RAIN FALLING AT CASCADE LOCKS, a love story based in the Pacific Northwest and THE GREEN EYE, an action adventure saga set in India and Nepal. His latest releases (2009) are, A., a reprint of his book, TULA HATTI, THE LAST GREAT ELEPHANT and, B., his new FIELD GUIDE TO THE WHITE GRASS PLAINS WILDLIFE RESERVE, a guide and listing of all of the mammals, birds, fishes, snakes and reptiles of this unique 200,000 acre park where he as spent so many years. And planned for 2010 are two more books …the second part of his autobiography, to be titled TALES FROM THE CAMPFIRE and a second book on the Bigfoot mystery of the Pacific Northwest of the USA. Peter presently (2009) serves as the Executive Director of the International Wildlife Conservation Society (www.internationalwildlife.org) and designs and implements wildlife conservation programs for the government of Nepal. These include elephant and tiger studies and wetlands reclamation and to this end, until recently, he spent up to eight months of each year in Nepal. He is presently building a private, not-for-profit safari lodge in south west Nepal, adjacent to the WGP, which will be used as a base for scientific research to support these and other programs. He is fluent in Hindustani, Taru and Nepalese. He is also a Member Emeritus of the Explorers Club of New York and a Member of the Academy of Applied Science of Boston, MA. His hobbies and interests, beyond writing, include big game photography, mainly of tiger, which he likes to stalk on foot; he is one of the very few men in the world with the ability to call up tiger. He was recently featured, (November 2004) as being unique in the world of adventure and exploration, on the prestigious Outdoor Channel’s Circle of Honor program. And as of June, 2005, he was been invited, as a Guest of Honor and War Hero, by the Australian government, to attend ceremonies in the Australian owned Cocos Islands in connection with his WW 11 wartime service there with the Air Sea Rescue branch of the Royal Air Force. Many young men dream of adventure and challenge, of living among primitive peoples, of crossing unknown deserts, exploring tropical jungles and making the first descents of unknown rivers. Peter Byrne has lived, and continues to live this dream. We just have to say... if it is true that he has done only 10% of these things listed above he would still be considered a real-life Indiana Jones. Too bad he can't add: SASQUATCH CAPTURED at the end of the list, eh? spliced in the wrong way. See comparison merge below. Here is another version of the early frame. R U Serious, B.S.? This, et seq., showing stabilized frame-by-frame screen captures we did. Do YOU see a "bloody hole"? Do YOU see a "Bigfoot Body" there? 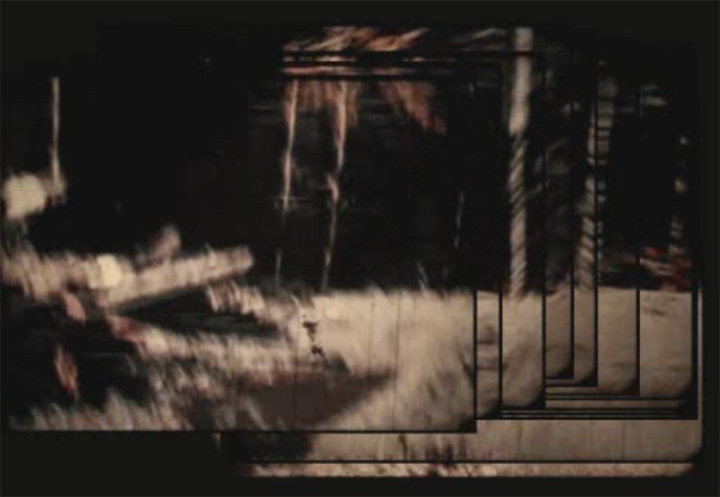 was one sequence with nothing cut out, just two mis-spliced frames. 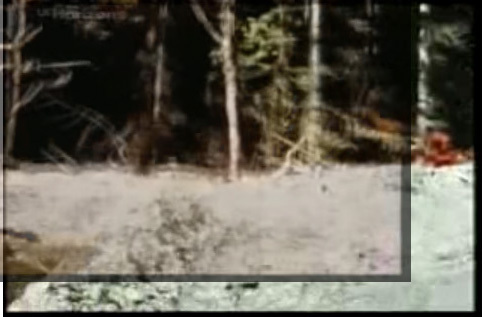 Come to the OREGON SASQUATCH SYMPOSIUM, 2011. OMG. WTF. Me no know what to say. STFU, MKD, me guess? ROTFLMAO, LOL!